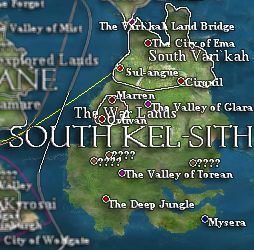 South Kel-sith is the southern fragment of Kel-sith Majoa and widely presumed to be the largest landmass in Eihydia. Sometime before the First Age, Kel-sith Majoa was struck by an astral impact which resulted in violent tectonic disturbances that assisted in the formation of inestimable satellite islands surrounding the continent’s shorelines and the continent of Ama’rane. South Kel-sith is presumed to be the largest known landmass in Eihydia. It is home of the same bizarre mountain formations that are found on Ama’rane and North Kel-sith; these natural oddities were instantaneously formed at the time of Kel-sith Majoa’s destruction before the First Age. The southern regions of South Kel-sith are home to Eihydia’s largest tropical rainforest; the northern areas are made up of densely forested swamplands, plains and hills. During periods of peace, South Kel-sith attracts travelers from all corners of Eihydia. Its tranquil beaches and adventurous landscape offer a little something for everyone. The islands surrounding South Kel-sith are too numerous to count; many formed as the result of tectonic instability caused by continental drifting and an astral impact before the First Age. Over thousands of centuries, volcanic eruptions exploded from deep within the Viviane Ocean creating thousands of islands. Some of the South Kel-sithian islands are uninhabitable due to their levels of volcanic activity. The deep jungle of South Kel-sith is the most dangerous region on the continent. 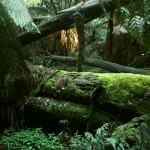 Consequentially, most of the inner jungles are vastly unexplored. Most cartographers who attempted to map the tropical wilderness of South Kel-sith never returned from its hazardous depths. Today, only thirty-four percent of the continent’s inner jungle region is charted, but those whom wish to enter are still advised against doing-so. 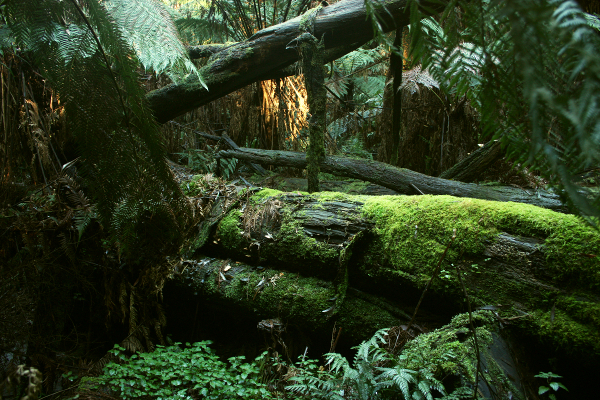 The densely forested swamplands of South Kel-sith are found in the northern regions of the continent. Though safer than the deep jungles in the southern regions of South Kel-sith, it is still recommended to avoid travel in the swamplands without the presence of an Amphorian guide. Surrounding these swamplands are many miles of plains, which provide a fertile landscape for farming and agriculture. Shade and daily rainfall help maintain a steady, humid temperature in the southern regions of South Kel-sith. Only minor fluctuations in temperature occur annually, but there are records of unusual variations during crisis events—scenarios where external influences affect one region, or the entire world. Hot, sticky, and uncomfortable are accurate descriptions of South Kel-sith’s northern regions during the summer months. 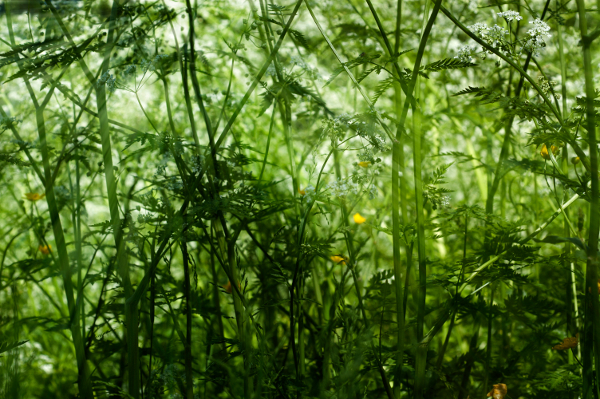 The swamplands absorb and radiate a wet heat, which gives the area a tropical feel without the lush appearance. Temperatures fluctuate in the spring and fall seasons, and plummet during winter. South Kel-sith is the world’s leading exporter in lumber, diamonds, and poisons; however, political instability in the region over the last several thousand years has slowed the nation’s economies in South Kel-sith. War torn regions reverted to a tribal state and ceased mercantile responsibilities, further complicating the global economic duties of their neighboring states. The Age of Eclipse (11th Age) and The Tempest Season (13th Age) had untold destruction on the civilization of South Kel-sith and it is only during the 14th Age they are finally starting to recover. The difficulty extracting natural resources increased in these years after the destruction took its toll on the continent. The influx of refugees from North Kel-sith forced the nations of South Kel-sith to push their boundaries further south. Consequentially, land, food, and monetary disputes arose resulting in a full-blown continental war. Today, in some regions, the stress of global economics is still present among the nations of South Kel-sith. The recent establishment of Tralisia on Ama’rane has started to assist in providing much needed mineral resources in order for the continent to begin rebuilding itself. South Kel-sith is home to a variety of aquatic, plant, and tree-dwelling creatures. These creatures have remained, unchanged, for hundreds of thousands of years under the naturally guided principle that the strongest inherit the earth. It is important to note that most of the wildlife, encountered in South Kel-sith, is poisonous. The forests of South Kel-sith are spacious enough to support the world’s most diverse, tree-dwelling predators. From venomous arachnids to vicious tree-dwelling hominoids, the canopies of South Kel-sith offer any unprepared adventurer the likely possibility of a terrifying and excruciatingly painful death. The varieties of enormous amphibians, reptiles, and insects are found in South Kel-sith’s wetter areas. Some species of sea creatures and dragons are present, but are not as prevalent to the area as they are in North Kel-sith. 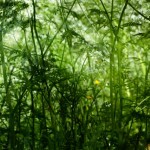 Both Amphorians and Varconians make their home in these jungles. Perhaps the most frightening of South Kel-sith’s wildlife is its population of carnivorous plants and diamond scaled dragons. Carnivorous plants are found in all corners of South Kel-sith, and they have been known to eat people; some will even uproot and give chase to their prey. Survivors of a carnivorous plant’s feeding reported the plant’s unique ability to track its victims using a sense of smell or taste. Deep in the jungle, diamond scaled dragons roam, and any hunter or adventurer is usually met with a gruesome end if these wild beasts feel threatened or are attacked. The Age of Peace occurs 150,000 years ago. It is also known as the 3rd Age. By the end of the Age of Peace, deep within the jungles of South Kel-sith, the Amphorians awakened from their hibernation. They immediately assigned territory based on ancient tribal bloodlines and rebuilt their long forgotten cities. Conflicts with the native Varconians, a tribal lizard race, immediately resumed between the Amphorians as their encroachment on territory occurred during the hibernation. The encounters between the Amphorians and Varconians and the other races of South Kel-sith became more and more common over the next two centuries. Relations with the Varconians are tense until a system of communicating based on bartering is discovered. Peace flourished between the tribal nations and the cities of South Kel-sith until a Human King indirectly insulted the Grand Cokia in his own court. The King’s head was returned in a barrel of rotting fish. This event brought a brutal end to the Age of Peace. The Age of Honor occurs 130,000 years ago. It is also known as the 4th Age. The continent of South Kel-sith was rocked by war between Humans and Amphorians for a little more than ten years after the decapitation of the King in the Grand Cokia’s court. As a result, Eihydia was introduced to the brutal and vicious nature of the Amphorian tribes. United, they cut through the Human army and advanced on the borders of neighboring cities. Fearing Amphorian invasion, some nations answered the Human’s call for assistance; most did not. In some locations on South Kel-sith political stability came to an end during the Age of Exploration. Early in the Age of Exploration, explorers from Denual arrived in Oikia’coka Territory, South Kel-sith, with intentions of constructing a naval port. After some deliberations with the local Amphorians, the Denualans were given permission to construct a naval base if they permitted its use to Amphorians; eagerly, the Denualans agreed and began construction on the port city of Orivan. Within fifty years of Orivan’s completion, explorers from Denual and Lon’gordia began to arrive and populate the city. This resulted in some boundary disputes with the Oikia’coka Territory after Orivan citizens expanded their businesses and homes onto land not agreed permissible to the Denualans by the Amphorians. As Orivan grew, so did the Oikia’coka’s irritation with the now unwelcome settlers. The Grand Cokia interceded upon the dispute and shamefully croaked upon the Oikia’cokas, arguing the agreement made with the Denualans is no one’s fault but their own. An agreement that a percentage of Denualan exports were to be paid to the Oikia’coka as a form of property tax—the more land the Denualans take, the more they must pay. This agreement helped relieve some pressure from the Oikia’coka territory, and they forgave Denualan intrusion on their sacred lands. Within a hundred years of Orivan’s population, Marren, a city to the north, was being built by new arrivals. Marren and Orivan were meant to work off one another with Marren being a mining city, and Orivan exporting Marren’s goods. Within several years, Marren was home to several lumber factories and diamond mines. As Marren increased in size, so did the quantity of goods it produced. Orivan found success in increasing its exports, and soon the two cities were tripling their previous profit. With Orivan and Marren becoming more and more powerful, they opted to cheat the Oikia’cokas by fraudulently reporting their monthly grosses. Over the next century, Marren and Orivan would undergo a population explosion as more and more travelers arrived seeking fortune. This pushed the nearby Varconian tribes out farther and resulted in several bouts of armed conflicts. Meanwhile, the northern regions of South Kel-sith were dealing with problems of mass exploration in a slightly different manner. Around the time of Orivan’s construction, the City of Ema closed its doors to travelers arguing that foreign influence in the region may disrupt cultural tradition. The Grand Cokia also followed suit and urged the Amphorian tribal states to also close their borders to foreign interference. The Lambordia tribe did not close its doors to foreigners and, like the Oikia’cokas, were overrun by explorers from all over the globe; however, Sul-angue found fortune in foreign adventurers by offering them South Kel-sith’s finest poisons and healing remedies. This enabled Sul-angue to amass a large fortune, which the Lambordia family used to provide its citizens with the food, clothing, and shelter. As the Age of Exploration came to an end, the City of Ema and the Grand Cokia felt enormous pressure on their borders with the establishment of Cirquil. Cirquil became infamous for its taverns and local problems, which spread into neighboring territories. The citizens of Cirquil were also becoming notorious for violating years of cultural respect between Ema and the territories of the Grand Cokia. It is important to note that not all travelers to South Kel-sith created conflict. During one event, an attempt was made to chart the deep jungles. Though it resulted in failure, an interested guild of Mages and Scientists from around the globe sought the passage to gain a better understanding of the Kel-sithian jungles, and any mystical properties they may entail. This guild of mystics migrated from Ema and settled in the village of Mysera, and over the Age of Exploration, its unusual arcane and scientific findings continued to attract people from all around the world. The Age of Consequence occurs 90,000 years ago. It is also known as the 6th Age. As the nations of Denual, Lon’gordia, and North Kel-sith underwent radical events involving their political and social prosperity, the nations of South Kel-sith remained mostly stagnant in their progress for thousands of years since the Age of Exploration saw its end. This was all about to change with the Eridan’s involvement in Mysera; transforming it into a powerful city-state to act as Eridan’s representative in South Kel-sith. Representatives from Eridan became interested in Mysera’s findings after they discovered five mystical relics in the deep jungle. The founders of Mysera were unable to decipher the language inscribed on the relics and sent for Eridan experts to assist. Within several years of travel, Eridan specialists were not able to determine the origin of the relics, nor were they capable of translating the inscriptions. The Eridan specialists ordered the relics be taken to Eridan for further study; the Myserians eagerly agreed. After fourteen years, the specialists returned to Eridan with the artifacts. There they were determined to have predated the Ancients, thus resulting in great confusion regarding their origin. The Riesuts Royal Academy ordered the relics be sealed away, so that any power they contained would not accidentally be released. Over the next seven years, Eridan specialists returned to Mysera with a proposal that Mysera represent Eridan in South Kel-sith. The Myserians agreed and funding was issued by Eridan to turn Mysera into a city-state. Within twenty years, Eridan had constructed a teleportation stone for Mysera that linked directly into the halls of the Riesuts Royal Academy, and within months, Mysera became one of the most powerful cities in all of Eihydia. Mysera continued research and development for Eridan regarding mysticism associated with the formation of South Kel-sith. Most of this information was lost in the Age of Eclipse, and then again during the Age of Unity. As Mysera became more involved with the local politics of the individual Amphorian states, so did the Amphorians become more skeptical of Eridan’s role in Mysera’s creation. Distrust for Eridan and Mysera grew after Eridan commissioned Mysera to commission the Shaska’okia-cookia Territory to join them in pursuit of discoveries in science and mysticism. Much to the dismay of their neighboring Amphorian states, the Shaska’okia-cookia agreed to the Eridan-Mysera offer and received money and enchanted goods in exchange for Amphorian Shaman secrets. Eridan quickly discovered the Shaman secrets contained some reference to the Eternity Orbs, five relics lost to the Amphorian people before the great slumber. The Shaska’okia-cookias told the excited Eridans everything they knew regarding the Infinity Orbs; in exchange, the Myserians assisted the Shaska’okia-cookias in constructing the City of Arcanea—located just northwest of the Valley of Torean. The Amphorian territories became increasingly concerned about Eridan’s presence in South Kel-sith and appealed to the Grand Cokia for intervention. Seeing this potential threat as an issue that affected all of South Kel-sith, The Grand Cokia in turn sought council with the Triumvirate of Ema. Both the Grand Cokia and the Triumvirate of Ema agreed that an explanation from Eridan’s Royal Family was in order; riders were immediately dispatched to Eridan and Mysera. The message would take just under a year to reach Eridan, and the Triumvirate advised the Grand Cokia to prepare for war as a precaution, and upon returning home did so by advising his territories to be en guard for arcane invaders—only the Shaska’okia-cookia Territory did not receive the Grand Cokia’s advice on the matter. Mysera began sending goods to Arcanea, which in turn sent them to Orivan. Under the contract agreed upon during the Age of Exploration, Amphorian states would be allowed to use Orivan’s naval port at no charge. Mysera and Arcanea soon became the world’s leading exporters of mystical goods. Eridan soon returned word to Mysera that it was under attack by Sansoo-kai’vivorian, the Kai’vivorian Empire. The reason was that spies within the Riesuts Royal Academy reported that Eridan had possession of the Eternity Orbs—mystical relics claimed by the Amphorian Shamans of South Kel-sith to have vast amounts of power. Eager to obtain these orbs, the Sansoo-kai’vivorians led a mystical attack against Eridan. Fearing the orbs may be stolen, Eridan sent Mysera the Eternity Orbs via the teleportation stone, and then ordered Mysera destroy their teleport stone; Mysera complied, thus severing their link with North Kel-sith. Enraged by the attack on Eridan, Vanyelar began to mobilize its forces in preparation for war against Sansoo-kai’vivorian; this event occurs around the time the Triumvirate’s riders reached Vanyelar’s borders. Mistaking Vanyelar’s intentions, the riders immediately turn and rode back to Ema with news of Vanyelar and Eridan’s mobilization against South Kel-sithian nations. Meanwhile, riders from the Triumvirate reached the deep jungle, in search of Mysera. Nothing is known regarding the fate of the riders. It is now believed they were killed en route to Mysera, but with reports Vanyelar’s preparation for war, the Triumvirate and Amphorian nations believed their riders killed by Myserian forces. For the next several weeks, the Amphorians and Varconians prepared for war. The Shaska’okia-cookia Territory was exiled from the Amphorian system of nations under accusation of treason. Fearing the worst, Arcanea sent word to Mysera that the Amphorians were preparing for war. The Grand Cokia then brutally attacked the Shaska’okia-cookia Territory, specifically targeting Arcanea. The Varconians launched an attack simultaneously and seize somed of the northeastern sections of the territory. Some Varconians and forces from Grand Cokia battle in this section and it turns into a stale mate. Within days, Arcanea was completely ravaged by the Amphorian soldiers; it is said that in the wake of the city’s destruction, no stone was left standing. Believing Sansoo-kai’vivorian influence had touched the Amphorian Nations, Mysera gave the Eternity Orbs to its five most trusted mages, one for each mage. Each mage was separated and given a secret destination in which to flee, and they were ordered to leave Mysera without knowledge of who held an Eternity Orb. Within days of the final mage’s departure, Mysera was attacked by the Amphorian army. Fortunately, the Triumvirate was capable of getting word to the Grand Cokia that his war was in error. The Grand Cokia called off the siege on Mysera and ordered his troops home. Within months of the war’s end, the Grand Cokia took his own life in response to the destruction of Arcanea; the Grand Cokia’s eldest son Herman Dofra would then assume the role as the new Grand Cokia. Herman was said to croak three times upon ascension, an unusual display of acceptance indicating he would not make the same mistakes his father did. The Varconians managed to keep the northeastern sections of Shaska’okia-cookia Territory and turns it into an egg-mound and focuses on exporting poisons which are rich in the area. Unfortunately for the Amphorians, they are expelled and are forced to barter with the newly established poison trade at higher than normal prices.